“Talent Time,” the colorful cultural festival was organized in Nazareth School, Chandapura, Bangalore on July 27-28, 2017. The two-day fest took students outside their classrooms to go on a quest of their talent within. 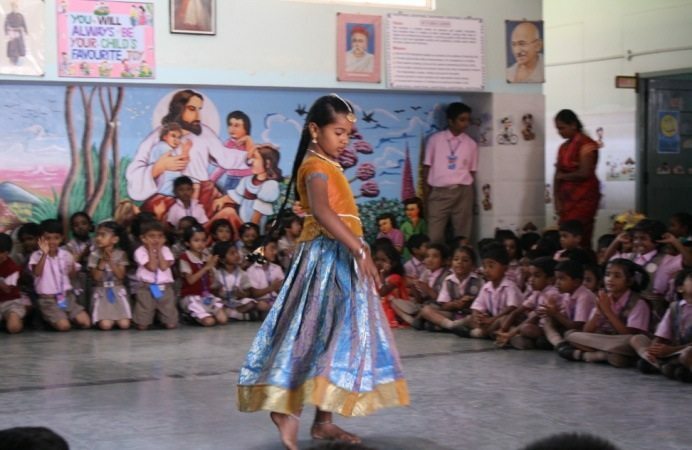 Events included dance, singing, instrumental music, comedy, fancy dress, mono act, elocution, pick-n-speak, moral skits, mime, spelling-bee, storytelling, poetry, memory game quiz, and poster-making. The festival brought the entire student community to the spotlight as each one displayed his or her creativity. Off stage events such as wealth out of waste, origami, and drawing were exhibited. Thanks Hilda for sharing the creativity of the students. Wonderful ways of developing student’s creativity and talents. Hearty Congratulations. Keep up the good work of educating children.